SKU: seca216. Categories: Medical, Seca. Medical instruments are put to the test every day in medical practices where doctors and nurses need exact results they can rely on. The devices are also expected to prove their worth in routine work and meet demands for flexible use, simple operation and easy-to-read displays. The seca 216 wall mounted stadiometer or measuring rod passes all tests with flying colors. In hospital or doctor’s office, wherever an intelligent combination of accuracy and easy operation is required, this measuring rod provides the very best service. 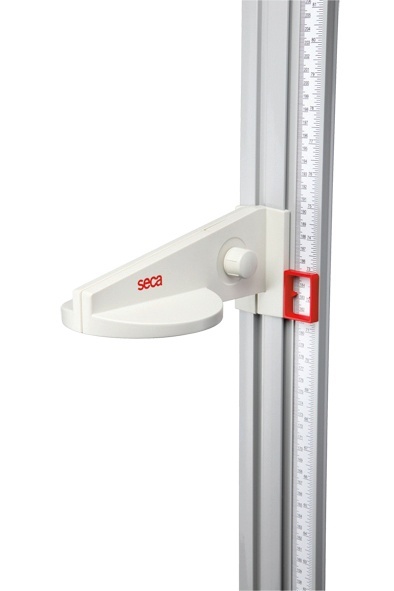 The seca 216 mechanical stadiometer has a variable scale with a range of 3.5 cm to 228 cm that is inserted into a 55.3 inch ( 140 cm ) frame. The plastic frame is simply mounted on the wall at the desired height. 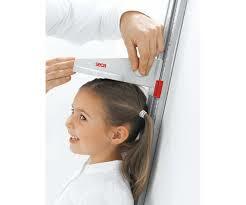 As the user can choose the range shown in the frame, the seca 216 is suitable for measuring children or adults. The results are clearly displayed in a window on the side of the rod and held in place by the locking screw on the head piece. Suitable for international use, the scale is printed in centimeters on one side of the tape and centimeters and inches on the other.